Two Florida schoolgirls have been arrested and accused of plotting to kill classmates in a satanic rite. 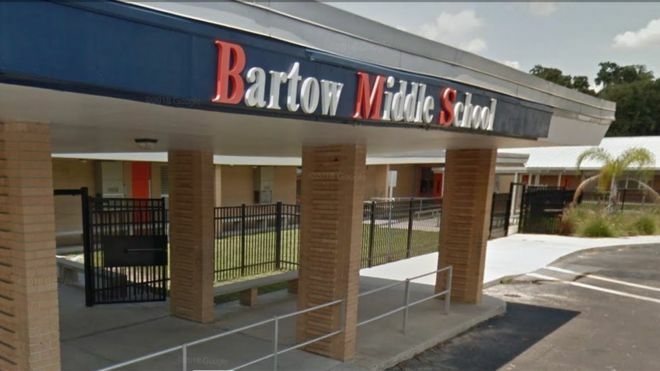 Police say the pair, 11 and 12, told officers they were Satan worshippers and planned to kill at least 15 students at Bartow Middle School. On Tuesday they were searched by police who found weapons including a butcher’s knife, pizza cutter and scissors. They told investigators they planned to drink the blood of their victims and “possibly eat their flesh”. The search took place after a student informed a teacher about a possible attack in a school building. The two girls were waiting in the toilet for younger students that they could “overpower to be their victims”, police said.